Austrian cuisine is known for its huge variety of delicious pastries, but one of the most famous – and my favorite – is marillenknödel. Professional and amateur chefs all around Austria will stuff potato dough with fresh apricot and a sugar cube, then press down the edges to form a sweet dumpling. After being boiled in salt water, the dumplings are rolled in butter and breadcrumbs, coated in powdered sugar and cinnamon, and served with a coffee or mokka. Fresh-made marillenknödel at my restaurant, ARIS Cantina, in Absdorf, Austria. 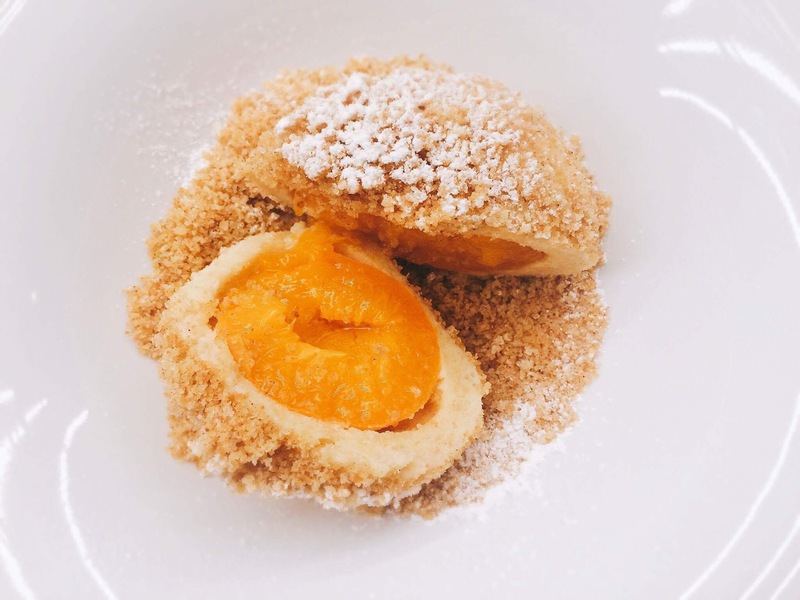 During apricot season, which comes to life briefly from mid-July to mid-August, you can find these wonderful treats made fresh in nearly every restaurant. The popularity of marillenknödel is the perfect example of how seriously Austrians take their apricots, but it’s far from the only way they’ve learned to use this tiny, tart fruit. They boil it into marmalade for breakfast or dessert. 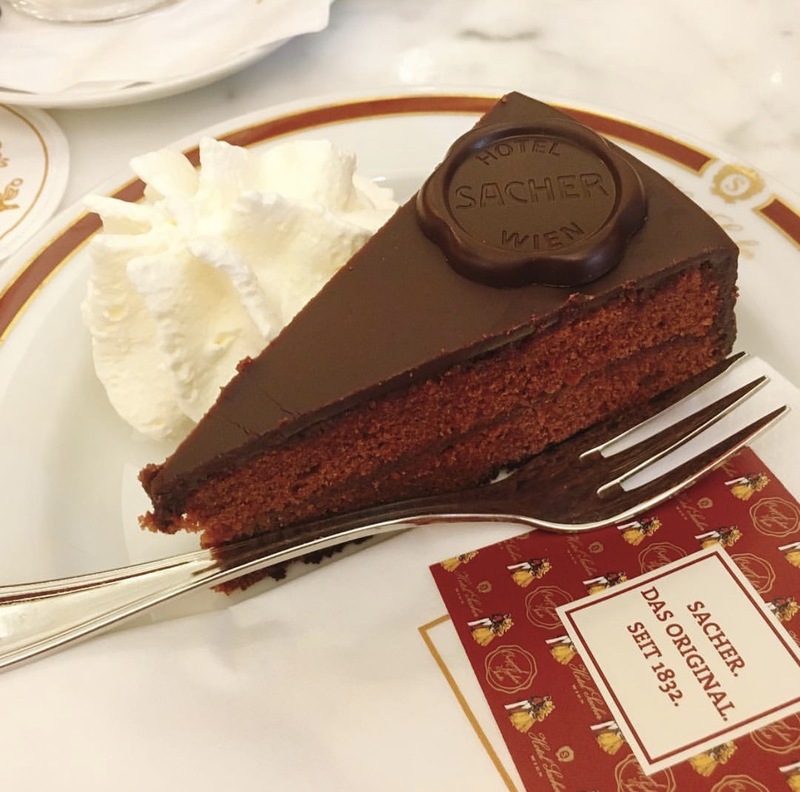 You can find it inside of palatschinken, which are crêpe-like stuffed pancakes, or the country’s famous Sacher-Torte, a chocolate cake coated in a thin layer of apricot jam. 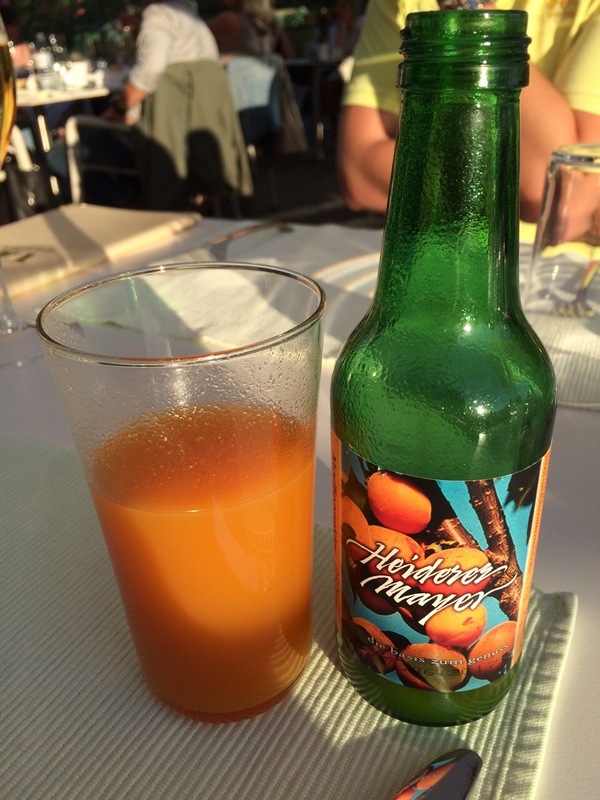 After taking just a sip of apricot fruit nectar or schnapps, you’ll wonder how you ever drank anything else. When I first arrived in Austria with my husband, Johannes, I didn’t have a very high opinion of apricots. In Mexico, where I’m from, apricots are very expensive and not at all flavorful enough to justify the cost. When we first came to Austria, we made a visit to a place called Dürnstein, a small town in the Wachau region of the country. While we were there, we stopped at a little store called Wieser Wachau, which sells schnapps, marmalades, juices, nectars, and more made from apricot. I tried an apricot juice there for the first time, and I was instantly addicted to the flavor. The tart, almost musky sweetness was unlike any apricot-flavored food I’d tried before. A short while later, I had a chance to try my husband’s grandmother’s marillenknödel, and apricot became my newest obsession. If you can try apricot juice, do! The Wachau region of Austria is known worldwide for its apricot orchards, and the words “Wachauer marille” (German for “Wachau apricot”) hold some serious weight in our world. Wachau, Austria with the river Danube and the market town Weissenkirchen in Lower Austria. The birthplace of apricots is uncertain, but they’re thought to have been spread to Western Europe by the Roman Empire via the Danube River. They’re now cultivated on the flat areas along the Danube, which is one of the most beautiful places in the world. Between March and mid-April, the trees are in full bloom before they’re harvested by hand. It’s simply magical to stand among the groves of white-flowered trees in spring, breathing in the sweet, fresh air and listening to the river lap at the shore. 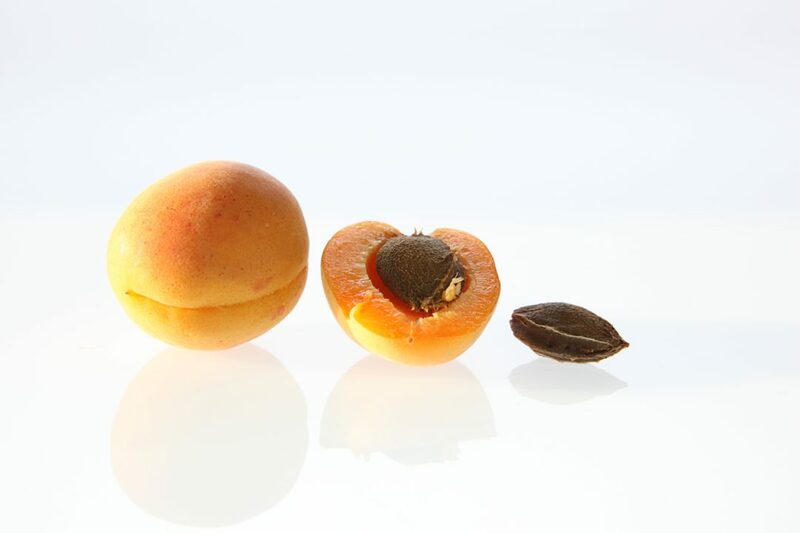 When you get a Wachauer apricot, you know you’re getting something very special. The skin is fine and wooly, and the colors are gorgeous: honey-yellow and reddish orange, with deep golden insides. When you bite into one, the flesh is firm but juicy. It’s absolutely heavenly. Austrians are so lucky to have access to fresh fruit like this. Harvested apricots from Wachau, Austria. Photo credit: Carolin M.
A Wachau apricot is also very acidic and sugary, which gives the fruit a unique aroma and taste. It also naturally has a lot of pectin (the substance that makes jams and jellies thick), which is a great bonus for cooking. We don’t have to include as many additives in our apricot jams and marmalades, which is why they taste so good! I’ve made a habit out of visiting the apricot orchards as often as I can, always picking enough to make marmalade for the restaurant and to keep extra at home year-round. 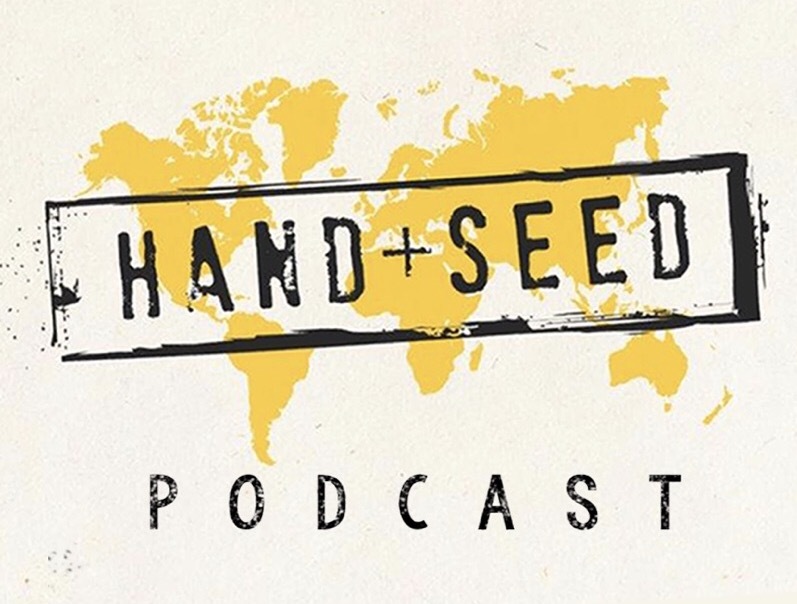 Unfortunately, the harvest season is so short, but that only makes the fruit more special. The Wachau region is one of our favorite places. Even if you can’t make it out to an orchard this year, stop by your local market and pick up a basketful to try this recipe. I promise you’ll want to make it a new part of your summer traditions. Clean your jam jars and boil them in water. On each jar lid, add a few drops of rum. After a minute, wipe the lid. This will help make the jars free of bacteria. Wash the apricots with cool water and drain. Remove the seed and cut the apricots into smaller pieces. Mix them until you have an apricot puree. Add the apricots and the sugar to a pot. Bring to everything to a boil and let it cook for 15-20 minutes. You can check the consistency of the jam by putting a little bit on a plate. If the jam is already thick enough to stay on the plate, stir in the fresh lemon juice. While the jam is still warm, pack it into the jars, leaving about 1/4 inch (6 mm) of space at the top. Seal them and place them upside down. Take them to a dark place and let them rest for at least two days. I love your blog post…!!!!! My mother was Austrian and I learned from her to make Marillen and Zwetschken Knodel….. I cannot decide which Knodel I love most….!!! Thank you for all the lovely photographs of around the Viennese area…. I so enjoyed being with you….in spirit…for this short visit with you…. check out my blog…find the blog post about Dumplings…..